'Cos you might need to do this on the bus or the tube. 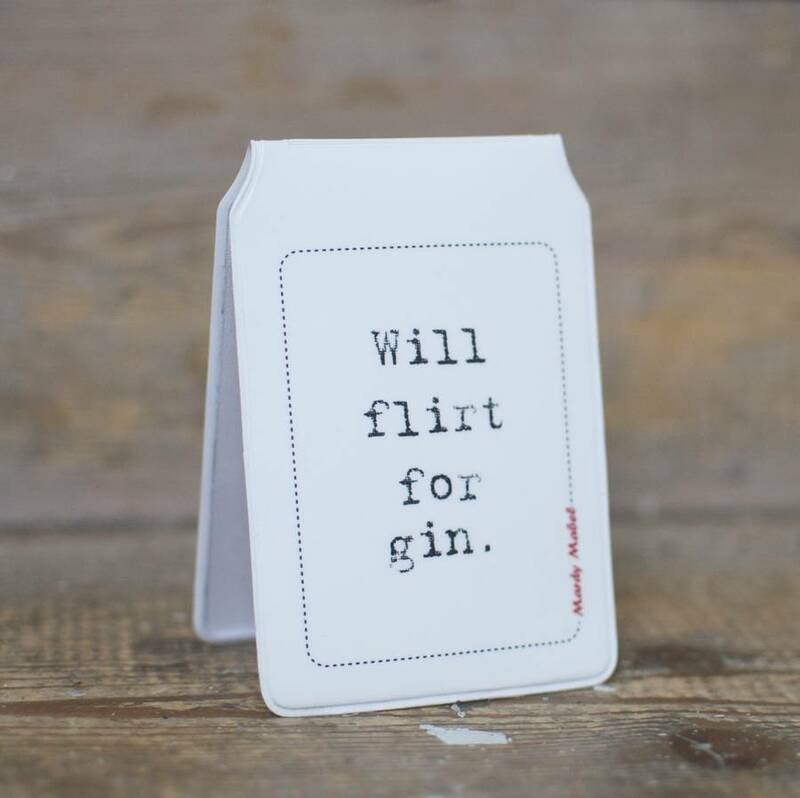 Text reads: 'Will Flirt For Gin'. Disclaimer: Mardy Mabel is here to help you express your inner mard and to celebrate all the important moments in life with wry witticism rather than soppy sentiment. She cannot be held responsible for those who have had a sense of humour by-pass. This product is dispatched to you by Mardy Mabel.